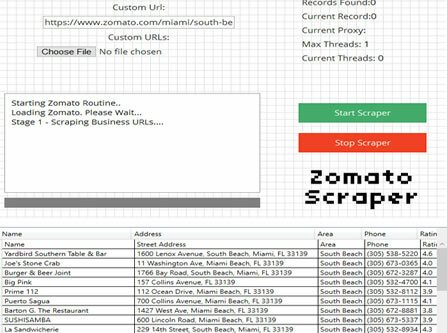 "Scraping Zomato has never been so fast or so easy!" 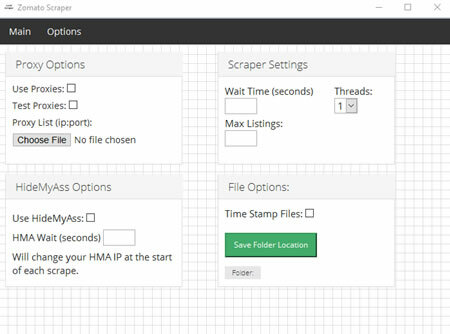 At Local Scraper we have been scrapers for over 5 years now and have helped thousands of customers get the data they are after. Our new Zomato Scraper is built upon our amazing Local Scraper framework, making everything super fast and super easy to use. 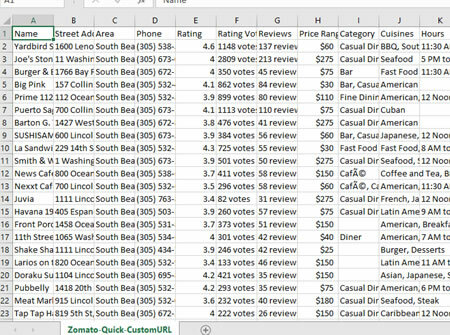 You can start gathering data from Zomato listings with just the press of a button. It really is just that easy. Zomato is building a extensive list of both local and international restaurants and now you can too! We gather 12 fields of data from Zomato. Nearly every business detail listed on the site will be at your command. Below is just a sample of the data you could be gathering. So what are you waiting for? With an instant access download you could be scraping data in minutes! 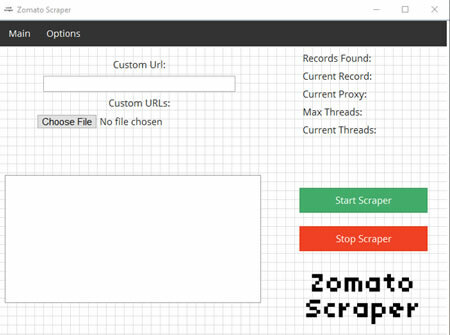 Proxy and VPN support for anonymous scraping allowing you to scrape more for longer. Test your proxies with our built in proxy tester. We grab data directly from the search result page so you are getting 30 results per page instantly to a csv. We auto save all of your data into easy to use and import csv files. Supported by Excel and most CRM systems. Your order is a 6 month subscription and insures you always have the latest and greatest version of our Zomato Scraper and allows us to provide continued support and updates. Get instant access to Zomato Scraper for only $29.99! * Zomato Scraper only supports Windows OS. ** Your purchase is for a Single License of Zomato Scraper. Your Single License allows you to install the program on two computers. *** Your payment is a 6 month reoccurring subscription. Your subscription insures you always have a 100% working and updated program.